But because it’s a tad expensive here, we restrict it to once a few months. So I treasure these yum cha days even more! 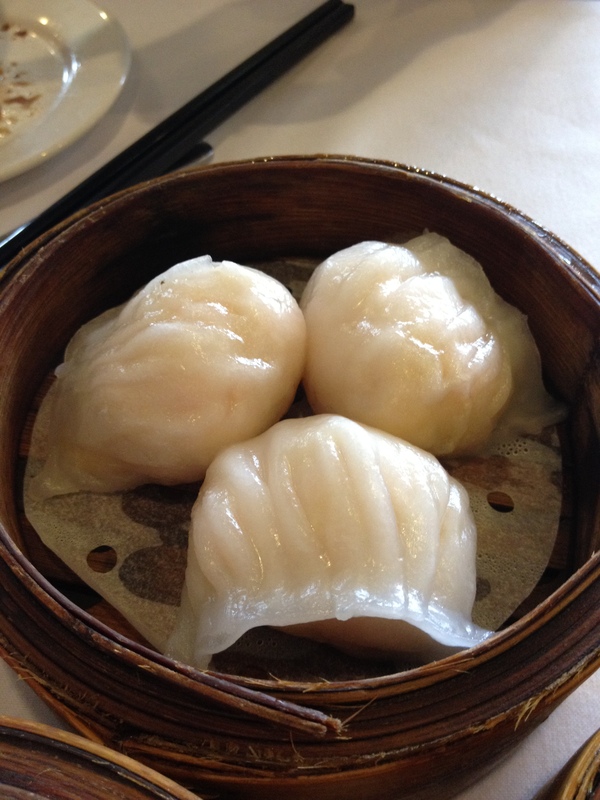 Fun fact : Back home, we actually call it dim sum! Never called it yum cha till I got here. hehe But I am always very happy and excited when the mr and I have planned a yum cha brunch! We usually only go to one place for yum cha but recently got introduced to a new place by Daisy after seeing her instagram photos of the food there. I couldn’t be more excited to give it a try! Can you tell from the grin on my face? haha I think I was a bit too happy that day. and cold! Thank goodness the Mr has the same favourite cuisines as I do, so we could both enjoy our food together. To me, there’s nothing worse than being forced to have something you don’t like! Besides, food tastes more delicious when you have it with the person you love! (: Don’t you agree? 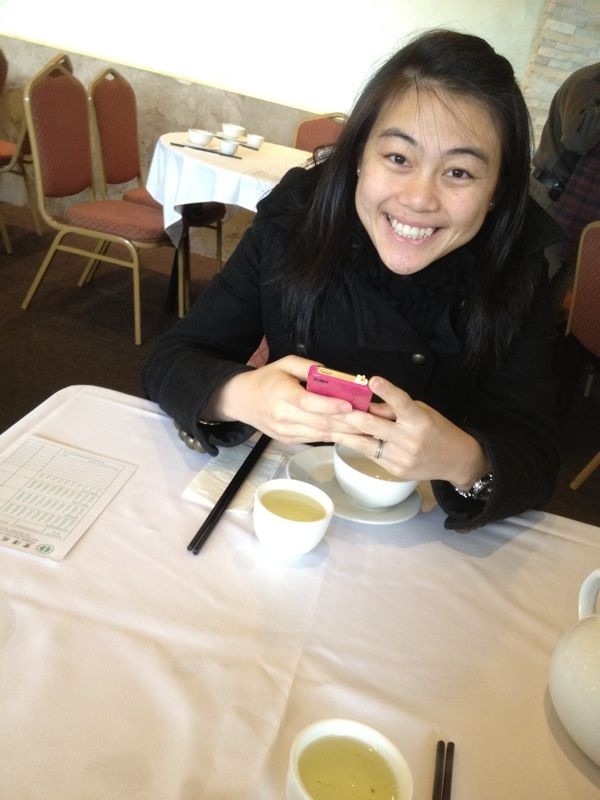 In fact, the mr loves almost everything at yum cha so we could order everything I liked! hehe I was doing the happy dance inside. 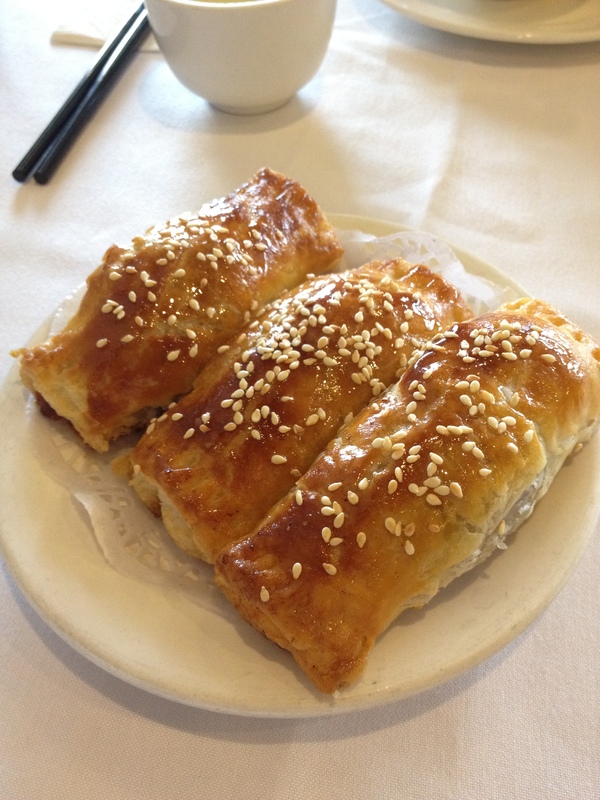 this is one of my absolute favourite dish at yum cha – char siew sou (bbq pork pastry). The pastry was really flaky and the filling was thick and every bite was filled with bbq pork. DELICIOUS! Fried prawn wantons. Jammed packed with fresh prawns, this is served with a saucer of mayo. 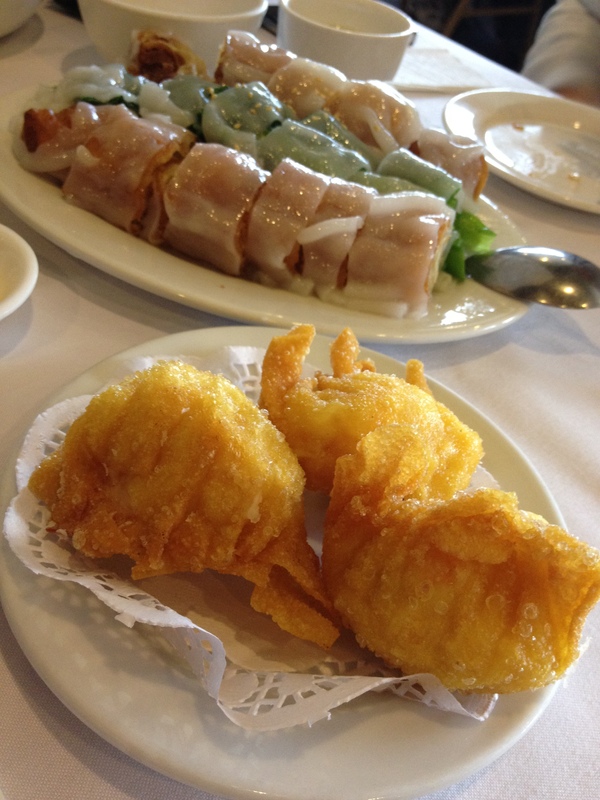 Just after these 3 dishes, we couldn’t stop smiling and saying “this is SO GOOD!” haha. Just thinking back, I can remember our eyes lighting up with every bite of the food. NOMS. Now, this was the king of all dishes. haha In fact, this was the dish that made me ask Daisy for the place she was at! Steamed white radish cake. You can’t really find this anywhere else. The first time I had it was at Kam Boat in Singapore. Usually, its cute into large rectangular pieces and panfried till it’s crispy. The first time I had the steamed version I was a little reluctant and questioned if it would be as nice as the panfried ones. I was proven wrong with my first spoonful! hehe Amazing stuff! 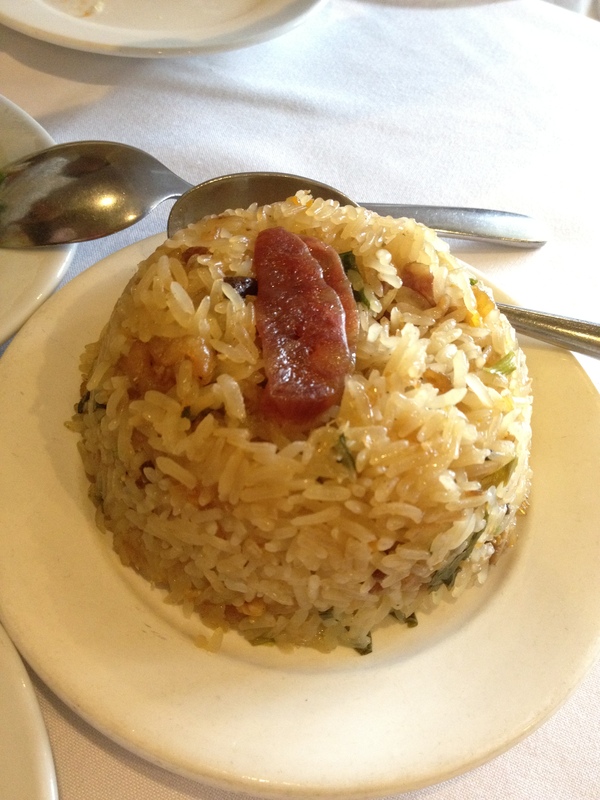 The glutinous rice was really yum as well! I am sure my mum would love this! 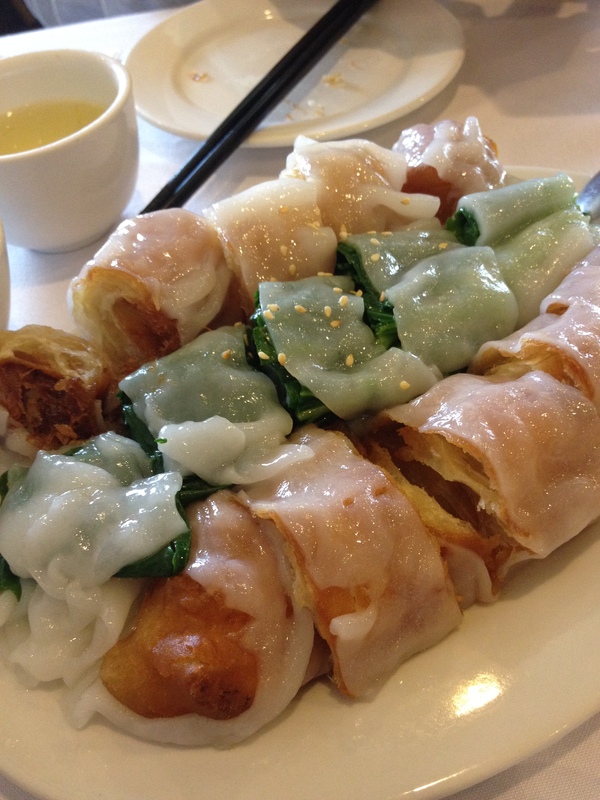 of course, yum cha would not be complete if we don’t have the usuals. They were all really yummy, but they just don’t stand out after having the others. Don’t get me wrong, they were still really good. 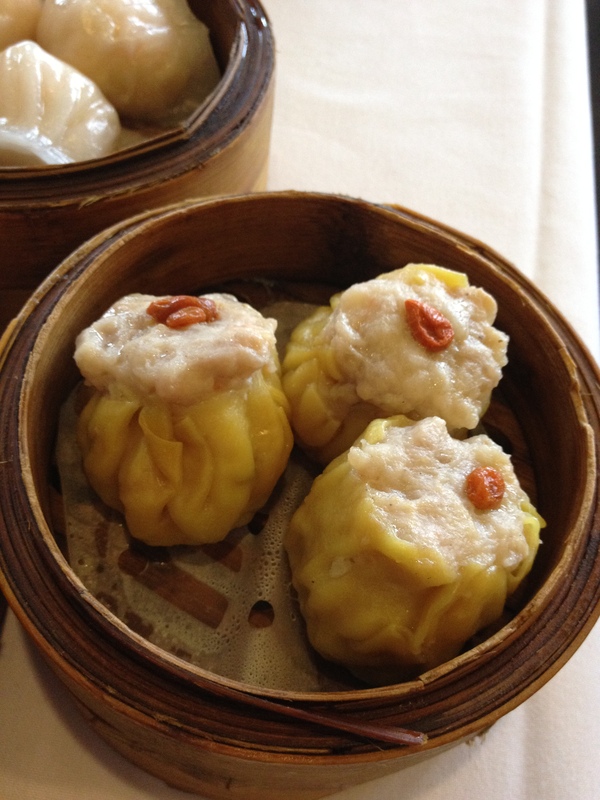 Especially the siew mai. It was really tasty and generously filled. Having just one would fill you right up! 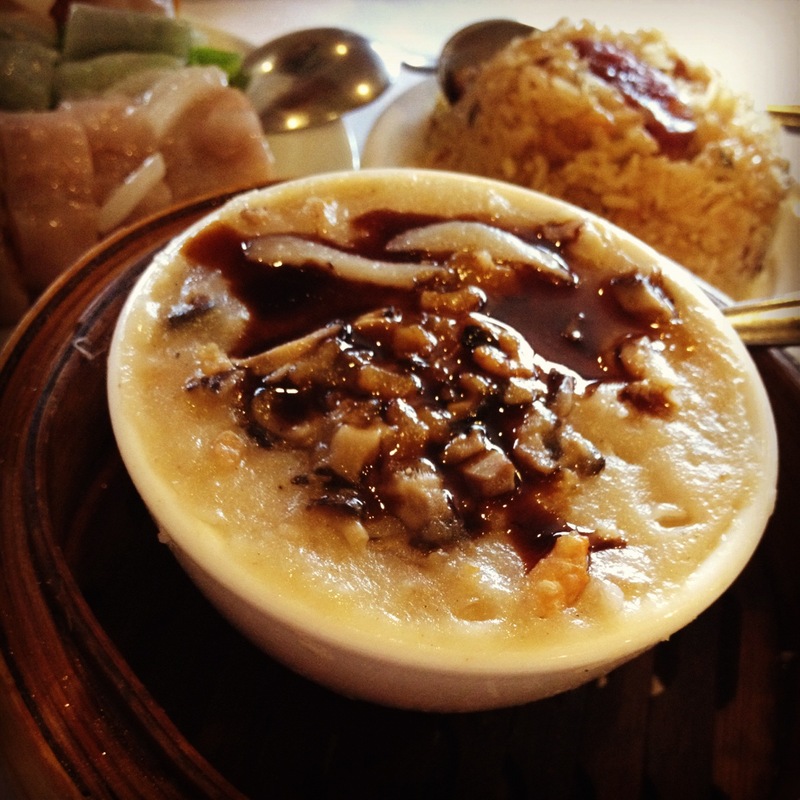 The century egg porridge was sadly the least of my favourite that day. It was just a little too blend and nothing really special. 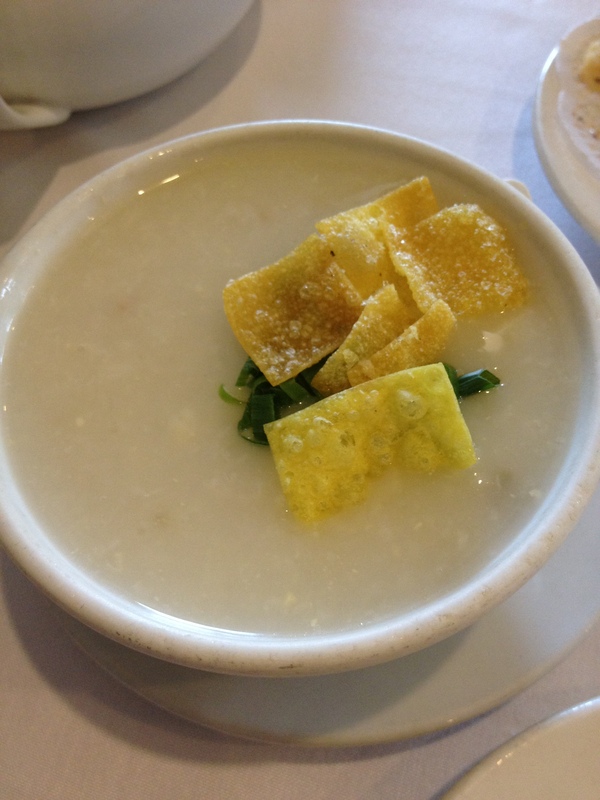 But I guess once you’ve had porridge from Crystal Jade then it’s quite difficult to find anything better! 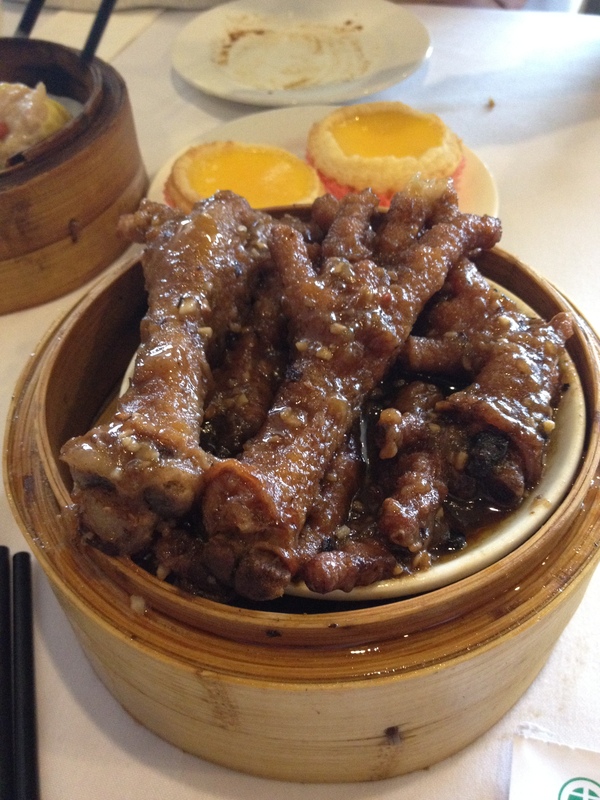 Chicken feet is definitely considered a delicacy cause not every one would like it. The hubs is a big fan and couldn’t resist ordering this although we were already quite stuffed! hah But it was a really generous portion and I could only have a maximum of 2. haha So the poor mr had to finish it on his own! Oppsy! So it’s time for the desserts. 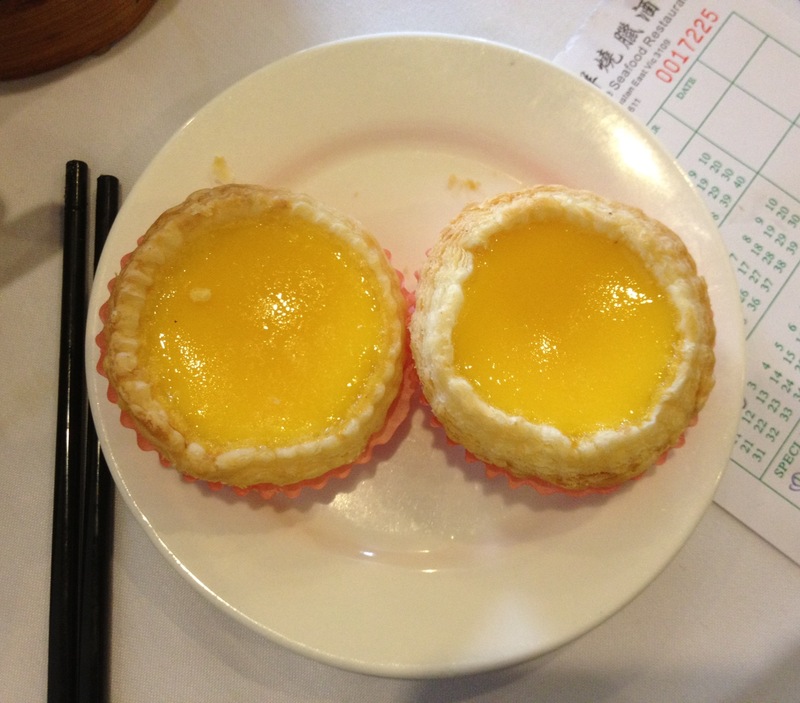 Yum cha cannot be considered complete without ordering egg tarts! 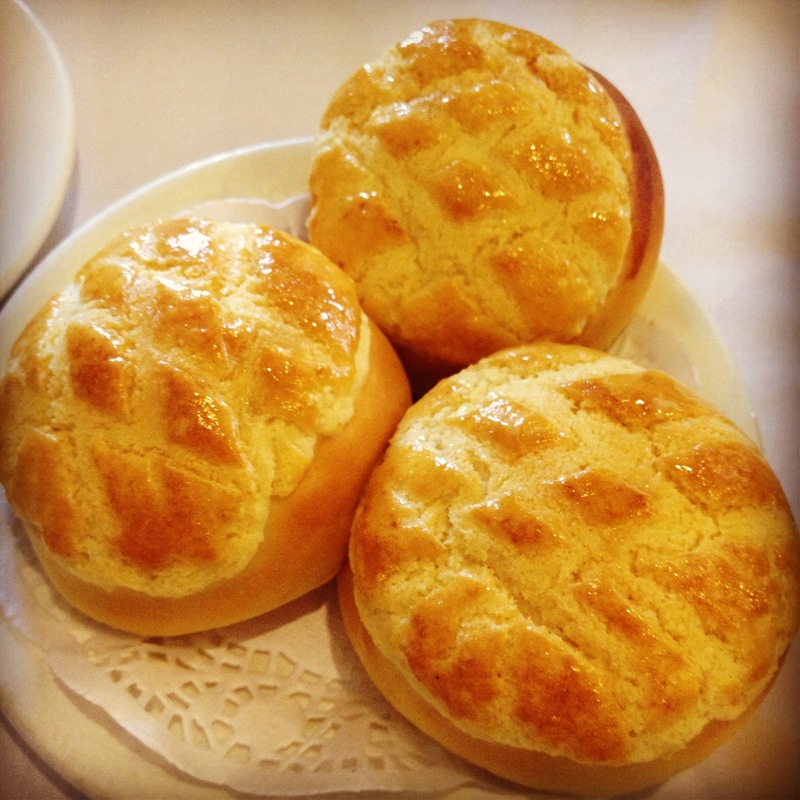 Another food blogger, Liz, also saw that I was at Wealth Garden and highly recommended the po lo bun (pineapple bun)! So we had to give it a try! I was surprised that it was filled! Thank you for driving me all the way here to try this place! (: I think it has become our favourite yum cha place! PPS : Do call in advance to make reservations, as this place fills up really quickly from the time it opens for business! Gonna go back for the steamed radish cake soon it’s SO comforting now it’s SO cold! And definitely a cantonese thing I think? 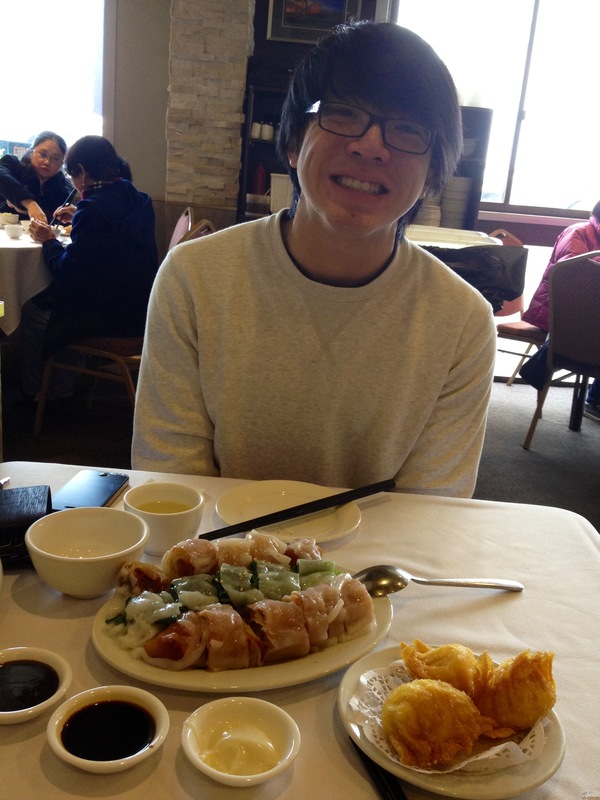 haha I dunno, cos Lester loves yumcha too! hehe just that I crave it more! That steamed radish cake is the bomb! I could have a whole bowl to myself! OMG! I’m drooling. You guys ate a lot! Lots of my favorites, too, but I’ll pass on the chicken feet. That steamed radish cake looks interesting. 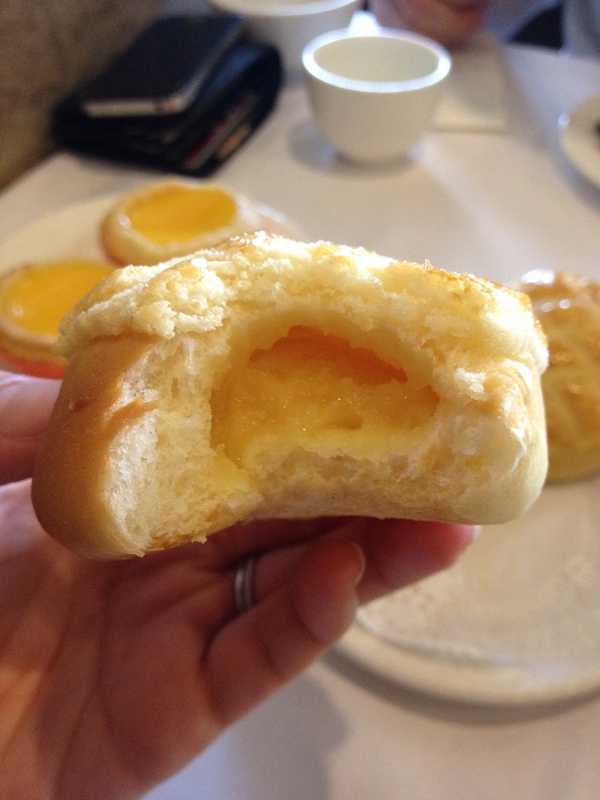 Love egg tarts and pineapple buns, especially :). Thanks for the visual feast. The green tea is great and good for you, and the other dishes look delicious. Thanks for your recommendation again for brisbane!! Gonna see if I can have it when I’m there! hehe TOo little time, too much to try! We used to go to yum cha at least once a fortnight when my grandparents were alive… it was good for them because they could try a little of everything 🙂 Yay, we have similar tastes when it comes to yum cha food hehe though steamed white radish cake is something I haven’t had before… will have to give it a try next time :). Glad you like the polo bun. Mr. favourite and a must when we yum cha there. Never tried their steam radish cake, think coz we usually are the 1st few customers and most items are still in the process of steaming. Definitely need to try it on my next yum cha session. hehe I love polo bun and these were really good! So thank you again! hehe and yes! Do give it a go! You might have to order it, cause we were really early too and they didn’t push it out! But cause I was recommended to have that dish i decided to be impatient and order it! haha (: Hope you like it!